A lack of quality control in the graphene market has led to inferior products being touted as high-grade. In response, a National University of Singapore (NUS) research team has developed what it says is a reliable way to test graphene quality. Ever since the isolation of graphene was first achieved in 2004, there has been an explosion in graphene-related research and development, with hundreds of business opportunists producing graphene to capitalise on this rapidly expanding industry. However, a new study by researchers from the NUS has uncovered a major problem – a lack of production standards has led to many cases of poor quality graphene from suppliers. Such practices can impede the progress of research that depend fundamentally on the use of high-quality graphene. “It is alarming to uncover that producers are labelling black powders as graphene and selling them for top dollar, while in reality, they contain mostly cheap graphite," said Professor Antonio Castro Neto, Director of the NUS Centre for Advanced 2D Materials, who led the study. "There is a strong need to set up stringent standards for graphene characterisation and production to create a healthy and reliable graphene market worldwide." Graphene is typically produced by exfoliating graphite into a powder, submerging this into a liquid, and then separating the tiniest graphene flakes by using sound energy to vibrate the mixture. The aim of this synthesis is to produce the thinnest graphene possible. Pure graphene would be just one atomic layer thick, however the International Organization for Standardisation (ISO) states that stacks of graphene flakes up to ten layers thick can still behave like graphene. With this in mind, Prof Castro Neto and his team set out to develop a systematic and reliable method for establishing the quality of graphene samples from around the world. They were able to achieve this by using a wide range of analytical techniques and tested samples from many suppliers. Upon analysing samples from over 60 different providers from the Americas, Asia and Europe, the NUS team discovered that the majority contained less than 10 per cent of what can be considered graphene flakes. The bulk of the samples was graphite powder that was not exfoliated properly. 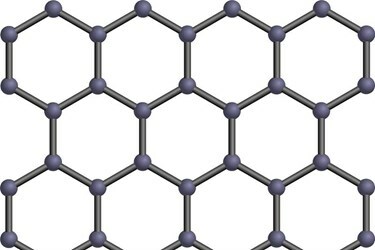 “Whether producers of the counterfeit graphene are aware of the poor quality is unclear. Regardless, the lack of standards for graphene production gives rise to bad quality of the material sold in the open market. This has been stalling the development of the future applications,” elaborated Prof Castro Neto. Graphite powder and graphene have wildly different properties, so any research conducted under the pretext that the sample was pure graphene would give inaccurate results. In addition, just one of the samples tested in the study contained more than 40 per cent of high-quality graphene. Some samples were even contaminated with other chemicals used in the production process. These findings mean that researchers could be wasting valuable time and money performing experiments on a product that is falsely advertised, says NUS. “This is the first ever study to analyse statistically the world production of graphene flakes. Considering the important challenges related to health, climate, and sustainability that graphene may be able to solve, it is crucial that research is not hindered in this way,” explained Prof Castro Neto. With this discovery, and the development of a reliable testing procedure, graphene samples may now be held to a higher standard. “We hope that our results will speed up the process of standardisation of graphene within ISO as there is a huge market need for that. This will urge graphene producers worldwide to improve their methods to produce a better, properly characterised product that could help to develop real-world applications,” said Prof Castro Neto. In addition, NUS believes that testing graphene using a universal and standardised way has the potential to ensure easy quantitative comparisons between data produced from different laboratories and users around the world.